Technically a barley wine, Xyauyu is a top-fermented beer and aged in barrels for about two and a half years with closely-monitored oxygenation. Bottled in a 500ml Champagne-style bottle under cork, the result is a still, clear beer with no head and an intense ruby colour. It releases wonderful scents of nougat, caramel, dates and dried plums. 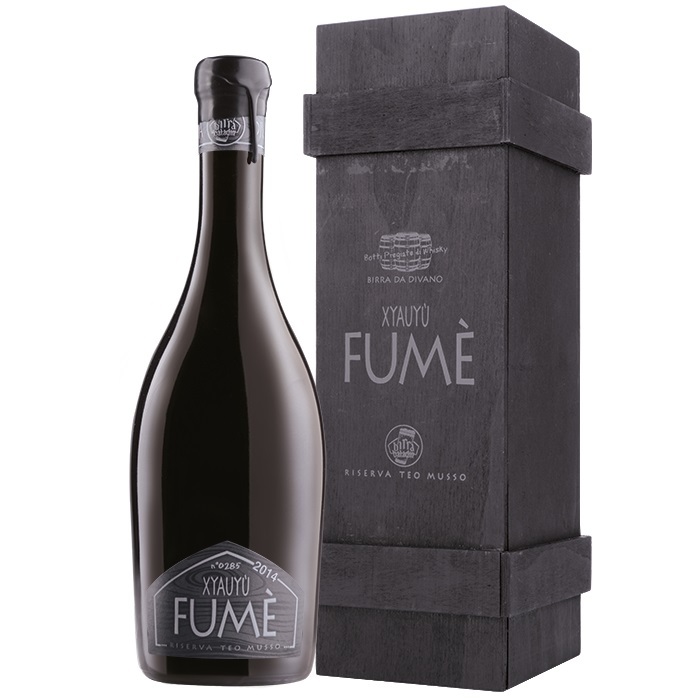 The 'Fume' is aged in barrels previously used to age the finest Scottish whiskies. The beer displays peaty scents and malty notes which are well balanced on a strong and warm body, and open to caramel notes on the finish. Teo Musso bottles these special beers in extremely limited quantities.